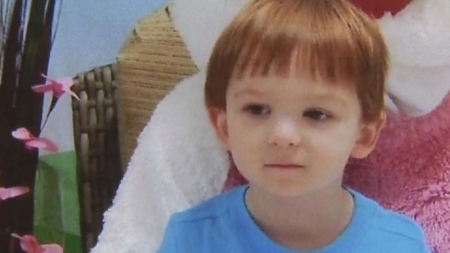 Tens of thousands are lighting candles tonight starting at 7pm across the Delaware Valley or wherever they are in honor of 3-year-old Scotty McMillan who was tortured and beaten to death earlier this week in Chester County. Scotty's mother Jillian Tait and her boyfriend Gary Fellenbaum were charged on Thursday with the horrific murder. ( SEE ALSO: Chester County Couple Murder 3yo ) There is a candlelight vigils at Gateway Church, located at 160 Cowan Road in Sadsbury from 7-7:30, however, many people are joining a Facebook event so they can light their candles no matter where they are. Go visit https://www.facebook.com/events/730933886990645/ to join and post a photo of your candle. A fire overnight at a boarding house for disabled veterans and homeless youth claimed the life on one man and displaced 23 others. The fire broke out just before 3:00 a.m. at the Alliance of Youth Mission Ministries building in the 3000 block of North 22nd Street in North Philly. The fire was confined to a single room on the third floor and fire fighters were able to contain it quickly, however that room's resident, a 51-year-old disabled vet, perished. Two others were taken to the hospital for minor smoke inhalation. Fire officials are working to determine the cause and origin of the fire but Fire Commissioner Derrick Sawyer said there were smoking materials in that room which may be the cause. They are also trying to determine if the alarm system was working in the building. The other residents were taken to other shelters and boarding homes. Philadelphia Police are looking for three suspects wanted for the carjacking, kidnapping, and robbery of two men in North Philadelphia. It started about 11pm Thursday night at the intersection of 18th and Rockland Streets. Three men, two of whom were armed with guns, forced themselves into a vehicle with the two victims. The suspects made them drive around until they reached a Sunoco A-plus mini-mart at Queen Lane and Greene Street in Germantown. They made the two men take off their shoes, pants, and sweatshirts. One of the assailants took one of the victim's ATM cards and PIN and withdrew $600 cash from the MAC machine in the store. They took $4000 from the other man. The suspects then forced the men out of the vehicle, taking their clothes, phones, and wallets with them. Police do not know if the victims were targeted knowing they'd have cash in the accounts. Their green 2004 Pontiac Grand Prix was recovered a mile from the gas station. The investigation continues. Clearing skies, temperatures in the low 40's this evening down to 35 overnight in Center City.